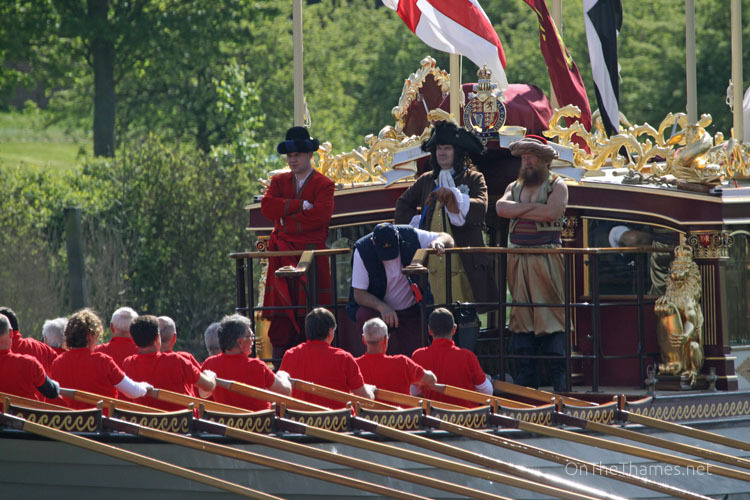 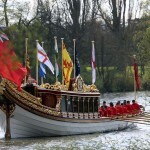 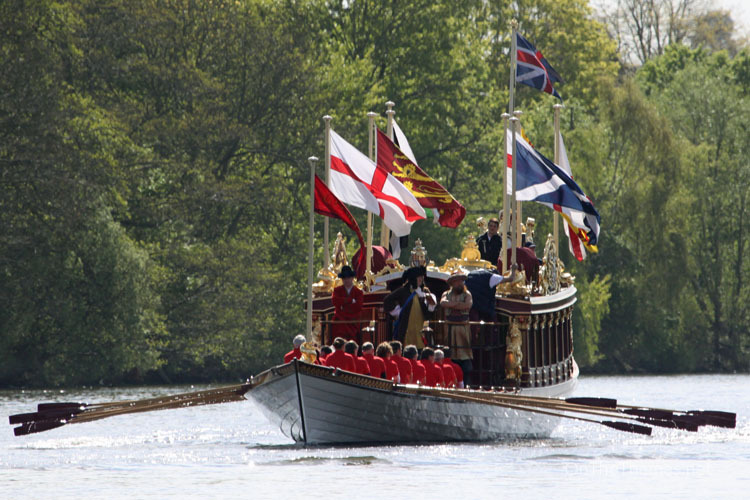 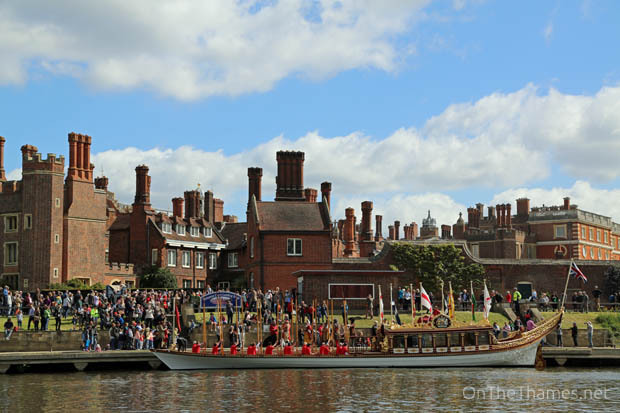 The Queen's Row Barge GLORIANA has performed her first duty of 2014 - carrying King George I to Hampton Court Palace. 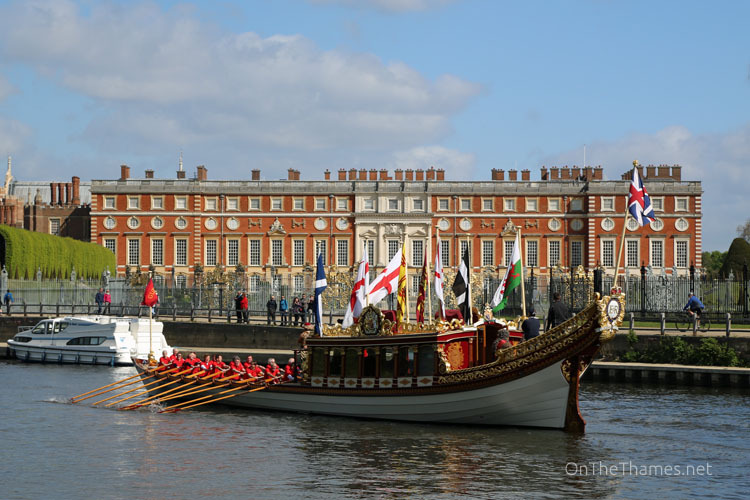 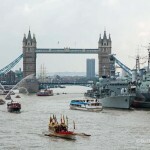 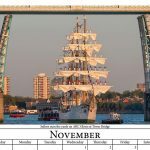 The Thames Alive-managed row barge was rowed to the historic palace this morning with the first King George, who became monarch in 1698, on board. 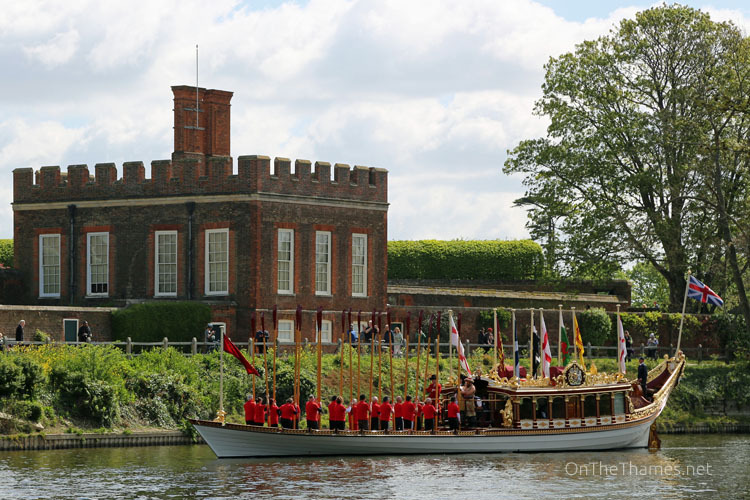 The royal appearance, which will be repeated across the long Easter weekend, is part of the Glorious Georges season at Hampton Court, Kew and Kensington Palaces. 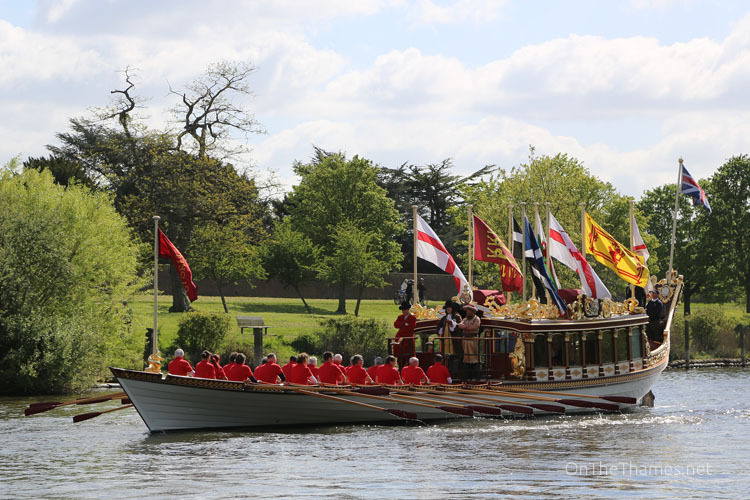 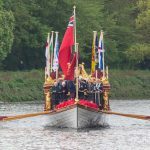 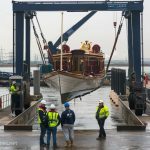 Taking part in this weekend's activities at Hampton Court Palace is GLORIANA's first engagement since re-entering the Thames last week after her winter storage. 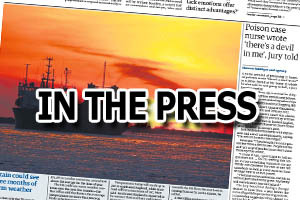 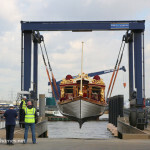 See the QRB arrive at Hampton Court Palace Pier 3 on Saturday, Sunday and Monday at 11.15 am.